At that time, I told you I’d be back soon with my review. And today is the day. When I heard one of my favorite authors had taken on a pirate fantasy, I was excited. There’s something compelling about a scoundrel’s life on the high seas that captures my interest. Add C. S. Boyack’s quirky and clever take on characters and plot, and I was certain this would be a winner. Boyack crafted some of my favorite characters to date — root monsters. They are fun and boisterous creatures that really help sell the type of story this is. It’s not a standard swashbuckler. It’s magical realism. There’s just a smidge of magic and make believe that help to create a fantasy world anyone would love to visit. From different nationalities to nautical cryptids, this world is vibrant and believable. World-building aside, these are strong and unique characters. Boyack managed to give us a representative sampling of all walks of life while blending them seamlessly on the page. Everyone has a unique voice and motivation, and all of them are memorable. The action is fast-paced. The plot is solid. The characters are unique. And it all comes together to create an epic adventure. I wish I could give it more than five stars. As it is, I’ll just have to hope for a sequel. If you haven’t read C.S. Boyack’s work yet, I highly recommend it. 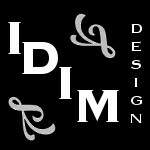 And if you haven’t had the pleasure of visiting his site, might I suggest you do so? He is whimsically inventive, always entertaining, and very generous with his time and blog space. You can peruse his posts, learn more about his work, or just get to know him a little better by visiting his site. Ooops! I somehow got an Amazon vote when I copied over my review. To those of you who noticed, sorry. I’ve since deleted that part. This is a well-written review, Staci: it’s detailed and knowledgeable. Great review, Staci! It’s been fun following Craig’s postings about writing this book. Another add to my TBR for sure! Thanks, Julie. It was really an enjoyable read. You used two words in your review that I think describe Craig’s story perfectly, “magical realism.” And yes, the root monsters were some of my favorite characters. Even their storytelling and the way they communicated was too cute! Love your review Staci! I hope he uses that term when he selects categories on Amazon. I think readers of that genre would really love his work. Thank you, Jan. Hadn’t thought to use magical realism, but probably should. You’ve made me want to read this one, Staci. Terrific review. Hugs. That was my goal. Glad to know it struck a chord with you. Check out this review of C.S> Boyack’s Voyage of the Lanternfish from this post on Staci Troilo’s Blog. I’m nearly done reading this book and my only regret is that it’s almost over and I won’t get to enjoy these vibrant characters and their adventures anymore. Thank you, Don. Glad you’re enjoying the voyage. I’d roll my eyes, but I’m too busy grinning. Great review, Staci. I think “strong and unique characters” are what make a story! Congratulations, Craig, for a job well done. Craig always has unique characters, but he outdid himself this time. Thanks for commenting, Mark. Super review, Staci. Craig should be pleased. I’m super excited about it. Thanks, John. Great review, Staci, compelling, colorful, and with the perfect amount of details to pull us in. Congratulations to Craig on completing another winning story, I’m looking forward to reading it. Thank you, Jet. Staci writes good book reviews. Hope the story works for you. Thanks, Jet. I used to write book reviews for a review site, so I know a trick or two. But there’s no duplicity here. Every word is honest. I loved the story. Fabulous review of Craig’s latest, and I couldn’t agree with you more, Staci! I really fell in love with this world and these characters….especially those scene-stealing root monsters, LOL. I hope Craig is planning a sequel, because I’m already waiting at the dock to hop on board. It’s taking some time to wrap my head around the idea. Mostly, because Stuttering Lewis is explaining it to me. Oh, my goodness. That was too funny. Thanks, Mae. You know I love the root monsters. I’m waiting to hop aboard the sequel, too. It really was. Thanks, Denise. Thanks, Jacquie. Hope you enjoy the voyage. Thanks, Jacquie. There’s even a burgeoning romance, so I know that will draw you in. I can’t wait to hear what you think of it. Glad you enjoyed it, Harmony. Learning my stories entertain is golden to me. And wouldn’t a root monster anthology be awesome? A brilliant review of Craig’s book, Staci. I am reading it now and I am loving those root monsters. Glad you’re having fun with it, Robbie. Thanks, Robbie. I try not to give away anything vital while still capturing people’s attention. But I want to shout from the rooftops about the root monsters. Great post, Staci. You nailed Voyage of the Lanternfish. I thoroughly enjoyed it. Craig’s characters were so well developed and very realistic. I look forward to reading more from Craig. He’s one of the few authors who I automatically buy. I’m never disappointed. Thanks, Michele. Thanks, Michele. I’d better get to writing. More kind words about Lanternfish. Go visit Staci’s blog to read more. 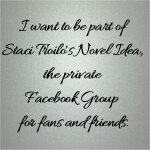 Staci is a fabulous author herself, and you ought to be following her blog. Thank you, Staci. I’m thrilled that you enjoyed the story. It means a lot to me that you shared your thoughts with the world today. Happy to do it. I hope it gains you a little more attention. I keep hearing about the root monsters. I’m listening to this right now, and haven’t gotten to them yet . Great review, Staci! Oh, my gosh. The root monsters. I I I I! Teri, they are so freaking awesome. I want a whole anthology of root monster short stories. I don’t think Craig has that planned, but I’d buy it in a heartbeat. You’ll love them.